Curiosity is a fundamental human trait. Everyone is curious, but the object and degree of that curiosity is different depending on the person and the situation. Astrophysicist and author Mario Livio was so curious about curiosity that he wrote a book about it. He recently appeared on the Knowledge@Wharton show on SiriusXM channel 111 to talk about what he learned in the course of writing his book, Why? What Makes Us Curious. Knowledge@Wharton: What is it that really drives our curiosity? Mario Livio: Curiosity has several kinds or flavors, and they are not driven by the same things. There is something that has been dubbed perceptual curiosity. That’s the curiosity we feel when something surprises us or when something doesn’t quite agree with what we know or think we know. That is felt as an unpleasant state, as an adversity state. It’s a bit like an itch that we need to scratch. That’s why we try to find out the information in order to relieve that type of curiosity. On the other hand, there is something that has been dubbed epistemic curiosity, which is a pleasurable state associated with an anticipation of reward. That’s our level of knowledge. That’s what drives all scientific research. It drives many artworks. It drives education and things like that. Knowledge@Wharton: There’s a basic difference between being unpleasant or unhappy and being happy. I would think many people feel both of those things pretty much every day of their lives, correct? Livio: You’re absolutely right. You see something that you completely did not expect or is very ambiguous, and you feel somewhat unpleasant about this. On the other hand, you try to learn something new every day, and that is a very pleasurable state that gives you a reward. So yes, everybody feels both of these things almost every day. Knowledge@Wharton: Is there an element of curiosity that is enhanced by living in the digital age? Livio: There are some people who have the feeling that because we have information literally at our fingertips, maybe we’re becoming less curious. But that’s not true. There are two things to remember. One is that when we do scientific research, we try to find answers to questions where we don’t know the answers yet. Therefore, you cannot find those answers on the internet or Wikipedia. The other thing is that what the internet allows us to do is to satisfy what has been dubbed specific curiosity, namely you want to know a very particular detail. Who wrote this or that book? What was the name of the actor in that film? The digital age allows you to find the answer very quickly. That’s actually good because you don’t want to spend all your time trying to answer a question like that. I don’t know how you feel, but I sometimes can be really obsessed by not knowing the answer to something very, very simple like that. Knowledge@Wharton: That’s almost a natural component of who we are. There are times when we become obsessed with wanting to know what that information is. Livio: That’s right. In that sense, the digital age helps us because we can find that information, and that may drive us to look for something else about this. And that would drive perhaps epistemic curiosity, which is this love of knowledge and wanting to learn new things. Knowledge@Wharton: Do you think love of knowledge is truly the driving force behind curiosity and the other pieces are part of the spider web off the core? Livio: Not necessarily. There have been all kinds of experiments in neuroscience with functional MRI, where they make people curious then put them in these MRI machines and see which parts of their brains are activated. It was found that this perceptual curiosity, the one when you’re surprised or find something unexpected, is associated with activations of the parts in our brain that usually work in conflict or when you’re hungry or thirsty. On the other hand, the parts that are associated with learning new things really activate the parts that are associated with anticipation of reward, like when somebody’s offering you a piece of chocolate or when you sit in a theater and you’re waiting for the curtain to go up. Knowledge@Wharton: When you think historically, there have been world leaders who have wanted to snuff out curiosity. I’m thinking particularly of Fidel Castro. Some people would say President Trump is trying to do that. Have you seen that as a component in the world? Livio: Of course. We all know about the Middle Ages, the medieval times when curiosity was almost taken out of existence. It was mostly the church that wanted to convey to the masses the feeling that everything worth knowing is already known. They built walls around all types of knowledge and really oppressed curiosity in this way. You mentioned a few leaders, but it’s not just leaders. The Taliban destroyed works of art. ISIS is destroying works of art in Palmyra, in Syria. There have been book burnings over the years. The Nazis made a degenerate art exhibit where they tried to deface all the modern painters. There definitely have been oppressive regimes and ideologies that try to stifle curiosity. 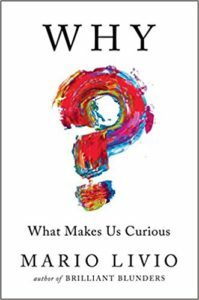 Knowledge@Wharton: What I found interesting in the book is that you note there really isn’t one definition of curiosity. Livio: Yes. I mentioned already two of those types of curiosity: perceptual and epistemic. There is also something that has been dubbed diversive curiosity. That’s the thing when you see young people constantly on their smartphone, looking for text messages to ward off boredom, I think. Knowledge@Wharton: Curiosity has always been seen as a very good thing because you’re trying to gain knowledge. There is a negative to diversive curiosity because your attention is turned away. But there is the element of searching or looking for information. It’s kind of walking a fine line there. Livio: You’re absolutely right. They’re also looking for information, and also it serves as a social element. They connect with friends. They connect with people, sometimes across countries. It isn’t all negative. Knowledge@Wharton: Do you think it affects curiosity in general because it has become such an attractive piece to our society? It’s changed the communication skill. Instead of face to face, it’s fingertip to fingertip. Livio: That may have eventually some negative consequences if people just stay at home and connect through all kinds of digital devices. I can see all kinds of shortcomings for that type of a society. But at the same time, the really important questions like advances in science and so on cannot be found through digital devices. Knowledge@Wharton: You take time in the book to really delve into the science of this. Tell us what you found and why science has been so intrigued by this. 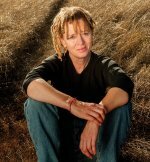 Livio: If you’re a curious person, then you ought to also be curious about curiosity itself. This has been research by psychologists, cognitive scientists and neuroscientists. There are two parts to this. One is to understand our state of mind when we are curious. I alluded to that in that one type of curiosity creates an unpleasant sensation and another creates an anticipation of reward. It was found that especially the epistemic curiosity, when we try to learn new things, it really follows the paths of reward of dopamine, which is this neural transmitter that is associated with reward in our brains. Knowledge@Wharton: I think there are people who are naturally curious. It almost is ingrained in their personality as they come into the world. Is that the case? Livio: Of course. Most psychological traits, and curiosity is no exception, have a genetic component to them. The fact that some people are much more curious than others largely has to do with their genetics. But, as in all cases, genetics is never the whole story. In the same way as nature versus nurture question, the two of them play a role. You can enhance curiosity by doing certain things, by asking questions, by encouraging people to be curious about things. Or you can suppress curiosity as we just noted, sometimes by regime, sometimes by ideologies, and so on. 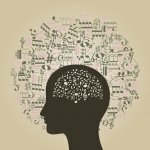 People have something in them which they are born with, but the environment can help or be against enhancing this curiosity. Just to give an example, if you are the children of refugees that have to cross countries and look for food all the time, you may be curious about where do you find your next meal and not about contemplating the meaning of life. Knowledge@Wharton: With all of the innovation that goes on right now, it feels like we’re constantly looking to improve so many aspects of our lives. Is it fair to say that curiosity is one of the things that might be hard to improve? Livio: No. I don’t think it is hard to improve. You cannot change your genetic makeup, but through the education system you can actually improve on curiosity. I’ll give you a very simple example. If you teach science to young children, don’t start by trying to teach them things that they may not be interested in. Start with something they’re already curious about, like dinosaurs. Start with dinosaurs and then find interesting ways to connect from that to other concepts you would like them to learn, rather than starting from the beginning with something they may not be interested in. Most people know that very young children are extremely curious. They constantly ask questions. That’s largely because they especially want to understand cause and effect. They want to understand how the world around them is functioning so that they make fewer errors. Some people think that as we grow up we lose our curiosity, and that’s not entirely true. We do lose some elements of diversive curiosity or the ability to be surprised. But actually epistemic curiosity, that love of knowledge, appears to be roughly constant across all ages. Knowledge@Wharton: When you are older, you do not take the risks that you did when you were, say, 20 or 30. But I would think that your curiosity doesn’t wane that much when you’re older, correct? Livio: Correct. Your love of knowledge remains and your willingness to learn new things appears to be constant across all ages. People at very old ages are still willing to learn things, to discover new things, to read. The topics in which you are curious about may change with age or with time or with whatever occupation you are in. Different people are curious about different things, and the level of intensity of their curiosity may be different. Knowledge@Wharton: Are kids more curious than adults? Livio: Kids are more curious in terms of diversity than perceptual curiosity. But I think in terms of epistemic curiosity, adults are as curious. This probably all started for survival. We needed to understand very well our environment in order to be able to survive, so there was an evolutionary pressure to this. But somehow humans are always more curious than just for mere survival. I’m an astrophysicist. What we study in science will probably become applicable at one point, but it is not applicable at the moment. We’re still very curious about this because we want to understand everything around us. Knowledge@Wharton: What is it that makes you curious? Livio: I’m really curious about the universe, things that relate to the beginning of the universe, to the fate of the universe, the nature of the dark energy that is pushing the cosmic expansion to accelerate. But I’m also interested in things like how did life emerge in the universe, the nature of consciousness, many things. Knowledge@Wharton: We talked about the potential for curiosity to be enhanced further. Is that an expectation of yours? Livio: The nature of scientific research, but sometimes even artistic contemplation, is that the answer to every question just brings about a new question. Sometimes the new question is even more intriguing than the original question, so you may become more curious about it. This article has been republished with permission from Knowledge@Wharton, the online research and business analysis journal of the Wharton School of the University of Pennsylvania.